First, it was a B88 Duo. Then, B88+ Duo. Now, here comes My|Phone B88 TV Duo! 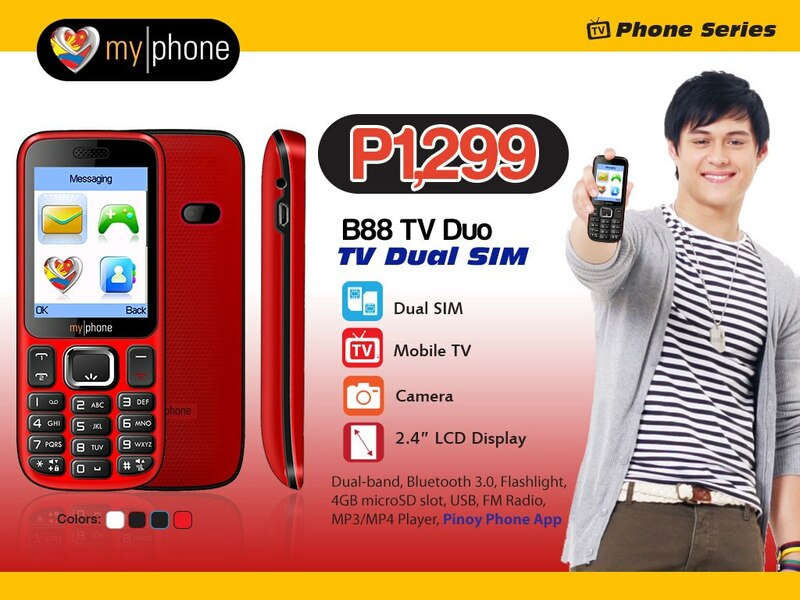 B88 TV Duo is the newest and most affordable TV phone from MyPhone. You can get it for just P1,299.00! It is a dual sim bar phone, has mobile TV, camera, and 2.4" LCD display.